If you or someone you know is graduating from a Tampa Bay/Clearwater high school or college, it is time to celebrate! Plan accordingly and you will make the most of the big day. Elite Events and Rentals is here to help you prepare. 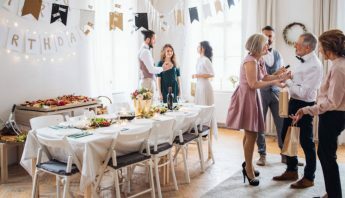 We’ll guide you through the entire party planning process, providing essential tips and supplies to ensure everyone has a blast. 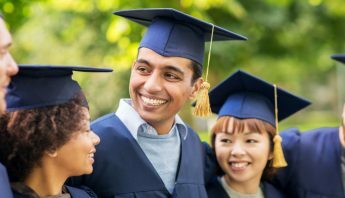 Elite Events and Rentals offers all sorts of graduation party essentials including a bevy of unique items that will make your party quite memorable. In particular, we have the perfect tent for your get-together. Every outdoor graduation party requires a high-quality tent. Your tent will protect you against harsh UV rays, rain, wind and any other curveball mother nature throws your way. Give some consideration to renting extra side paneling for added protection against the elements, be it wind, rain or the ever-powerful sun. Reach out to us as soon as possible to reserve the proper sized tent for your graduation event. The average party requires either a 20′ x 20′ tent or a 20′ x 30′ tent. About 40 people can fit beneath a 20′ by 20′ tent. Upwards of 60 people can fit in a 20′ x 30′ tent. Rent a tent from Elite Events and Rentals and the setup process will be incredibly easy. The actual setup of the tent is included in the price. All you have to do is point us in the direction of the space in which you would like your tent to be set up and our team will get right to work. Once you have all your bases covered for the party, it is time to shift your attention to tables and chairs. Folding chairs are ideal for large parties as they are easy to move and quite comfy. We also have spacious and versatile tables that can fold flat in little time in case you need to move them to another section of your get-together. Don’t forget about the linens to cover your party’s unfinished tabletops! Elite Events and Rentals has the linens, table covers and other options you need to cover these sensitive surfaces. Our wide selection features an array of hues to ensure coordination with your school’s idiosyncratic colors. Now that we’ve covered the party tent, tables, chairs and other necessary equipment, it is time to get to what we all love: concessions! 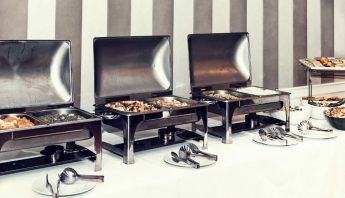 Elite Events and Rentals has a plethora of concession equipment you can rent for your party to make it as enjoyable as possible. Our concession equipment tends to go rather quickly so be sure to reserve yours as soon as possible. Take some chances with your concessions and your party will that special pizzazz that ensures everyone has a fantastic time. As an example, reserve one of our cotton candy machines. Or, treat your party guests to snow cones for a refreshingly cool treat. Our snow cones can be made in all sorts of flavors so you can customize them exactly as you like. Go even bigger with a Chocolate Fountain that can also function for Nacho Cheese. Whether you want to serve chocolate fondue for fun dipping or creamy cheese for tortilla chips, we’ll make it happen.